Remove dirt and impurities and achieve a youthful glow with Neutratone’s Glycolic Facial Cleanser with Bamboo Scrub. 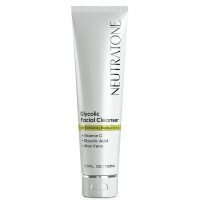 Hailed by Neutratone reviews for successfully sloughing away dullness and leaving skin feeling smooth and refreshed, this cleanser combines the best all-natural, anti-aging ingredients for real results. Glycolic Acid and Bamboo: Gently exfoliate to remove dead skin cells, promote skin turnover, and reveal glowing, youthful skin. Vitamin C: Regenerate collagen to plump skin, reduce wrinkles, and brighten skin tone. Aloe Vera: Soothe and heal skin, leaving it soft and refreshed. To cleanse, soften, and scrub away dullness, use Neutratone’s Glycolactic Cleanser with Bamboo Scrub as directed. Powerful antioxidants in this brightening, wrinkle-fighting serum work to combat free radicals and diminish dark spots while deeply hydrating the skin, leaving your face smoother and brighter. Acclaimed in Neutratone reviews for fast results, this serum uses only the best all-natural anti-aging ingredients. Vitamin C: Regenerates collagen, decreases the appearance of wrinkles, brightens skin tone. Vitamin E: Fights free radical damage to prevent wrinkles, lines, and age spots. Hyaluronic Acid: Restores moisture and encourages collagen production for plump, hydrated skin. 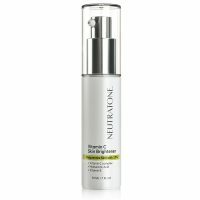 To moisturize, fight wrinkles and boost radiance, use Neutratone Vitamin C Skin Brightener as directed. Using your fingertips, apply serum evenly over your face and neck after cleansing with Glycolactic Facial Cleanser with Bamboo Scrub. Repeat twice daily, in the morning and evening. Once serum has dried, follow with Neutratone’s Ultra Anti-Aging Complex 5-in-1. 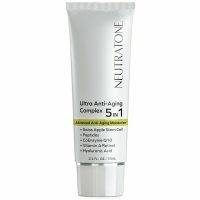 An anti-aging powerhouse containing five of the most effective ingredients on the market today, Neutratone’s Ultra Anti-Aging Complex 5-in-1 uses an exceptional blend of peptides, skin-reconditioning compounds, and super-antioxidants to ensure your skin is protected, nourished, and invigorated. Watch fine lines, deep wrinkles, and dark spots fade as elasticity and firmness return, leaving your skin smooth, hydrated, and radiant. Matrixyl™ 3000 Peptides and Hyaluronic: Stimulate collagen synthesis and deeply hydrate. Retinol-Vitamin A: Repairs and prevents skin damage, promotes skin elasticity. Coenzyme Q10: Prevents cell damage and regenerates antioxidant, collagen, and elastin production. 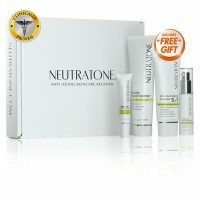 To nourish and revitalize your skin, use Neutratone’s Ultra Anti-Aging Complex 5-in-1 as directed. 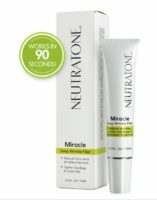 Erase wrinkles, creases, and fine lines in an instant with Neutratone’s Miracle Wrinkle Filler. Specially formulated to target your most stubborn signs of age, this silicone-based formula offers up to five hours of firmer, smoother, more youthful-looking skin in a single, fast-acting application. Watch your face transform! 100% of subjects demonstrated an improvement in appearance of fine lines and wrinkles. 85.29% of subjects stated they had a dramatic improvement in firmer, tighter skin. Take a small amount onto your fingertip and gently pat filler onto wrinkles or areas of concern. Please allow 2 minutes to completely dry. 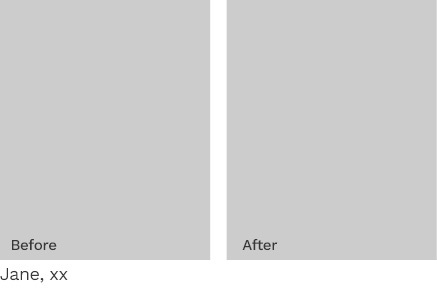 If you see a white resin, it’s because you applied too much. 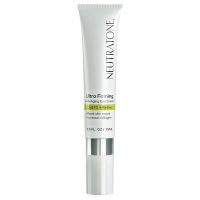 For Eyes: Apply Neutratone Miracle Wrinkle Filler to crow’s feet, under-eye bags, and dark circles for reduced puffiness, diminished motor wrinkles, and overall brightness in the eye area. Mouth: Apply Neutratone Miracle Wrinkle Filler to smile and frown lines around the mouth and wrinkles around the lips for instant smoothness. Forehead: Smooth Neutratone Miracle Wrinkle filler along deep lines and into eyebrow creases to improve elasticity and alleviate the “frowning” look. Pores: Use Neutratone Miracle Wrinkle Filler on areas of enlarged pores for a smooth, matte finish. Healthy, radiant skin is evidence of vivacious health—it’s true that feeling your best goes hand-in-hand with looking your best. Complete your Neutratone anti-aging regimen with a blend of the most effective vitamins and minerals for supporting youthful, glowing skin, and a healthy body. 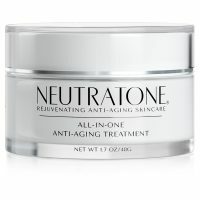 Neutratone Advanced Anti-Aging Supplements provide daily doses of essential nutrients, vitamins and antioxidants that promote brighter skin, stronger nails, thicker hair, healthy bones, and more. Biotin: Also known as Vitamin H, Biotin supports collagen production for fuller, younger-looking skin. It also promotes healthy hair and repairs brittle nails. 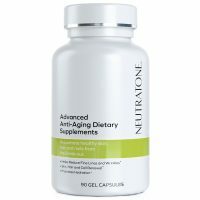 For unparalleled anti-aging nutrition, take Neutratone Advanced Anti-Aging Supplements daily as directed: one gel cap in the morning, afternoon, and evening. For Healthy Hair and Full Lashes: Take Neutratone Advanced Anti-Aging Supplements daily to support lush hair and eyelash growth. For Radiant Skin: Neutratone Advanced Anti-Aging Supplements contain anti-aging vitamins and antioxidants that work to nourish and brighten the skin while promoting elasticity and minimizing fine lines and wrinkles. 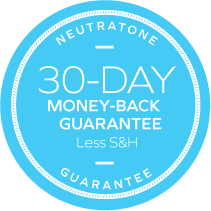 For Strong Nails: Daily doses of Neutratone Advanced Anti-Aging Supplements prevent against nail brittleness. For Healthy Teeth and Bones: Neutratone AdvancedAnti-Aging Supplements contribute vital nutrition necessary for strong bones, joints and teeth.